Summary from Goodreads: In this modern day spin on Leroux’s gothic tale of unrequited love turned to madness, seventeen-year-old Rune Germain has a mysterious affliction linked to her operatic talent, and a horrifying mistake she’s trying to hide. Hoping creative direction will help her, Rune’s mother sends her to a French arts conservatory for her senior year, located in an opera house rumored to have ties to The Phantom of the Opera. Roseblood by A.G. Howard was spellbinding. From the moment I opened this book the words fluttered off the pages and the characters came to life. I can’t tell you how much you need to read this book, and how much I’m going to recommend it. Roseblood was unlike anything I’ve ever read before, and I loved every minute of it. By know, most of you know that one of my favorite aspects when it comes to books is the writing style. For a lot of people, it seems to be a hit or miss. I either love the way they write, or it just isn’t for me. And this writing style is just what I needed. It’s creepy and haunting but also beautiful and enchanting. I haven’t read any other books by Howard yet, but just the writing style of this book has me sold. I cannot wait to read more of her works now. The characters in this book were fascinating, and all very complex. I wasn’t expecting the actual Phantom to be a character, but he was! When the name Erik was mentioned I was surprised because that’s the actual Phantom’s name, and then it turned out he was a real character. The main characters, Rune and Thorn, jumped right off the page. Thorn was Rune’s phantom, just as Erik was to Christine. But Erik is Thorn’s adoptive father of sorts, so he actually plays a really big role. 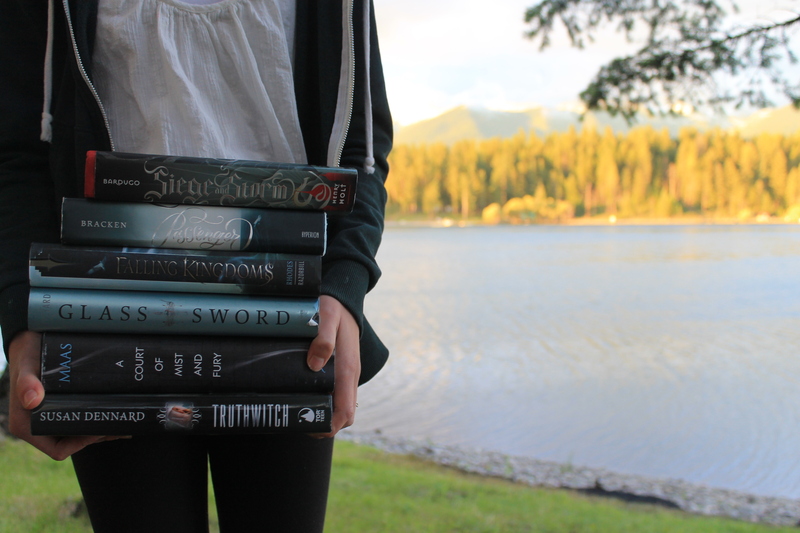 I loved Rune and Thorn though. They were both really interesting and complex. This story was very far from realistic, yet the characters felt so real. It was as if they would jump out of the pages at any moment. 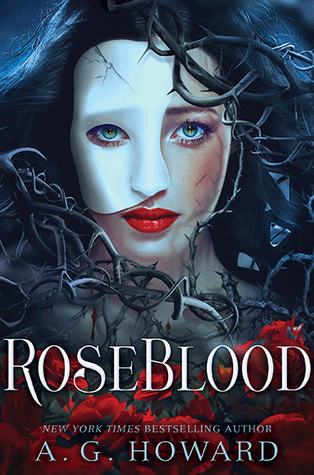 Of course, Roseblood is a retelling of Gaston Leroux’s The Phantom of the Opera. Most people know the phantom, or have at least heard of it. The musical is absolutely amazing (I saw it forever ago and though I hardly remember it, I do remember loving it). While a lot of people know the musical, not as many know the book. I haven’t read the book, but I’m familiar with the story. If you don’t know much about it, I recommend you spend some time learning about the original Phantom of the Opera book just because a lot of the events in this book parallel the original. Howard took a well-known, classic book and put a total unique spin on it that I loved every moment of. It was very creepy, but also spectacular all at once. She took a very well-known set of characters and incorporated them into the story, which I was not expecting at all, actually. In this retelling, the phantom is a supernatural creature (no spoilers), along with Thorn and a few other characters. Of course, the phantom was just a human being, but I loved how Howard made him, Thorn, and a few others supernatural creatures. I guess this kind of ties in with my last point, but I felt this deserved it’s own space. Not only is this a completely unique and wonderful twist on the original story, there are so many tiny little details added in that parallel the original story. I’m sure I missed quite a few. And that’s why it’s important you familiarize yourself with the story. A lot of major plot points in the original showed up, but as small events woven in to go along with Howard’s version of the story. She added in so many plot points of her own, but so many paralleled the original story in ways sometimes hard to even notice. It’s clear a lot of research and thought was put into this book. I know it can be annoying when people say there is a plot twist, but this book has SO many. It wasn’t like some books with one big twist that everyone’s talking about, then you expect the twist. Every time I thought something was going to happen or a character was going to be something, it went in a completely different direction. This book wasn’t predictable at all, and was instead full of so many twists that my mind was on the brink of exploding (not literally, but you get my point). My knowledge of anything opera is nonexistent. As you can expect, this book was all about opera. The main character, Rune, has a gift. She can sing any opera perfectly in any language, but only when played on a specific violin that once belonged to her father. Though she can still sing even without her father’s violin, it physically pains her. I loved how Howard incorporated Rune’s singing with the beautiful writing.Sometimes books with music or other creative elements don’t exactly flow right with it added in, but that was most definitely not the case here. Howard weaved opera into her beautiful story and it only made this book better. Overall, Roseblood was an amazing story. I can’t wait to get my hands on more books by A.G. Howard, as I’ve heard they’re great. This book was everything I wanted it to be and more. The writing was beautiful and there were so many parallels to the original story! Twists and turns at every corner had my mind spinning, but in a good way! I cannot stress enough how much you need to read this book. It’s already made it’s way onto my favorites, it was that good! I love the sound of Howard’s writing style. I should probably read something by them at some point. It’s beautiful! This book definitely motivated me to read more of her books. Thank you!